BRING YOUR OFFICE, FRIENDS OR FAMILY! Our quality standards apply each and every day as we continuously strive to exceed our traveler’s expectations. 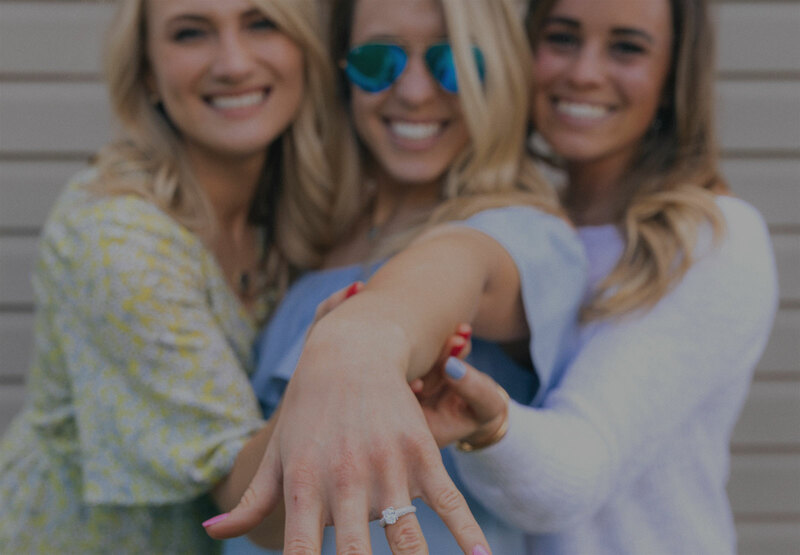 We create fun and unforgettable experiences in North Georgia’s Wine Country. Since 1996 VIP Tours has catered to creating a lasting experience for all of our guests. In March 2013 locals understood the strong need to unite North Georgia’s wine country and VIP Tours went to work to bring you an unparallelled wine tour experience. Your safety and enjoyment is our top priority, so sit back and relax, and leave the driving to our professional team. Our guests will leave with not only a more refined understanding of local wines, but also a lasting and powerful memory of their day in North Georgia Wine Country. Want more? We offer private tours to dozens of North Georgia wineries and can individually tailor or create any trip for your specific group. 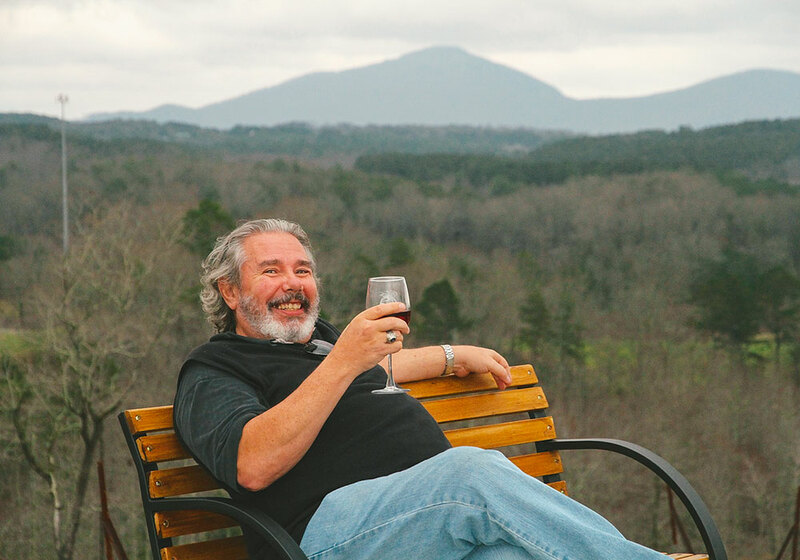 We feature wineries in White County, Lumpkin County and Rabun County. 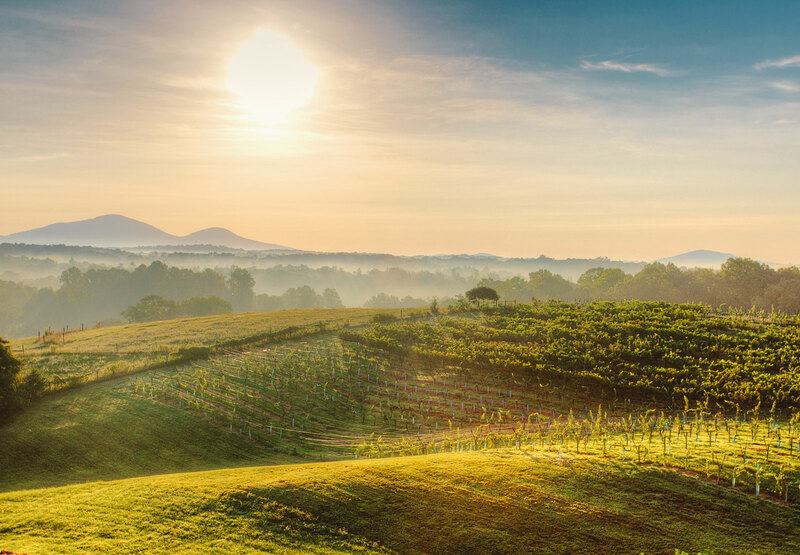 White County wineries include- Serenity Cellars, Yonah Mountain Vineyards, CeNita Vineyards, Stonewall Creek Tasting Room, Sylvan Valley Lodge Tasting Room, Habersham Winery, The Cottage Vineyard and Winery and Kaya Vineyard and Winery. 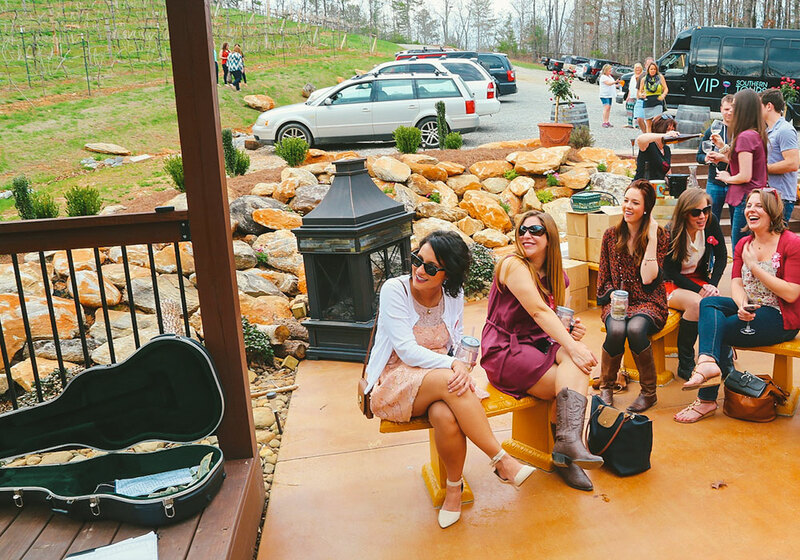 Lumpkin County wineries include: Three Sisters Vineyard and Winery, Cavender Creek Vineyards, Wolf mountain, Montaluce Winery, Accent Cellars and Frogtown Cellars. Rabun County wineries include-Tiger Mountain Vineyards, Stonewall Creek Vineyard, 12 Spies Vineyard and Noble Wine Cellars. Crane Creek Vineyards, Engelheim Vineyards, Sweet Acres Farms, Fainting Goat Vineyards, Odom Springs Vineyards and more. If you are interested in any of the aforementioned wineries for a special private wine tour please contact us directly at 706.878.1011 or email us for more information. 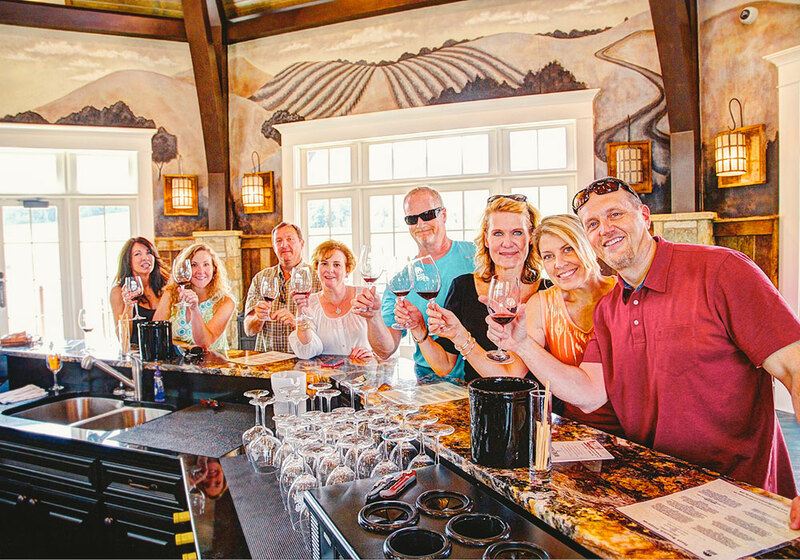 As the South’s Original All-Inclusive Wine Tour, VIP Southern Tours includes everything to make your day fun, carefree and educational. Our wine country tours include tastings at 3 local wineries or vineyards as well as an artisan picnic lunch. You can sit back and relax as our exclusive chauffeur takes you to Southeast’s best wineries. Experience Grape Expectations with a Full Day, All-Inclusive Wine Tour Adventure. VIP Southern Tours includes everything to make your day fun, carefree and educational. Our wine country tours include tastings at 4 local wineries or vineyards as well as an artisan picnic lunch. You can sit back and relax as our exclusive chauffeur takes you to Southeast’s best wineries. Discover North Georgia’s wine industry with a Sunday wine tasting adventure! Every Sunday we are offering a “happy hour” priced tour that includes transportation, 3 wineries, over 15 wine tastings, a knowledgeable tour guide and much more! 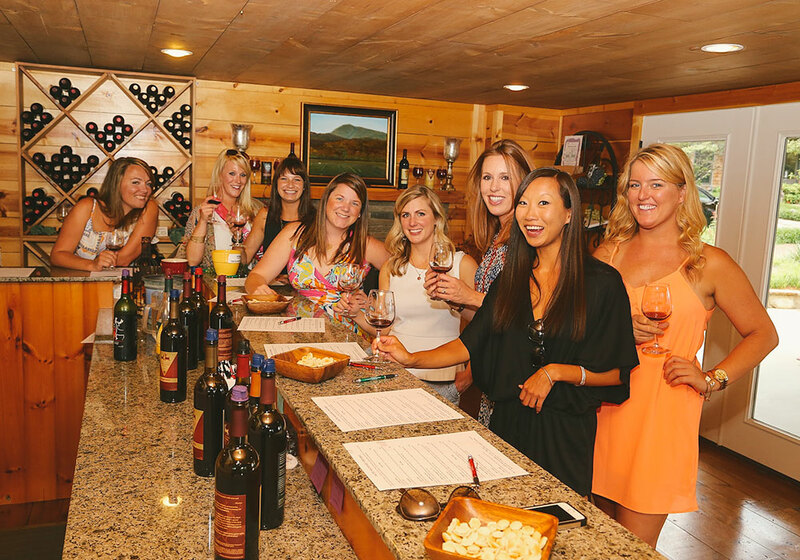 Our small group guided wine tours provide an intimate, yet social and lighthearted way to see and taste the best that North Georgia wineries have to offer. You will visit a few charming hidden gem wineries with your own private driver and host, an expert tour guide at each winery as you taste some of Georgia’s best wines! Let VIP Southern Tours customize your Holiday event! Celebrate the Holidays on a VIP Holiday Wine Tour. As the South’s Original All-Inclusive Wine Tour, VIP Southern Tours includes everything to make your day fun, carefree and educational. 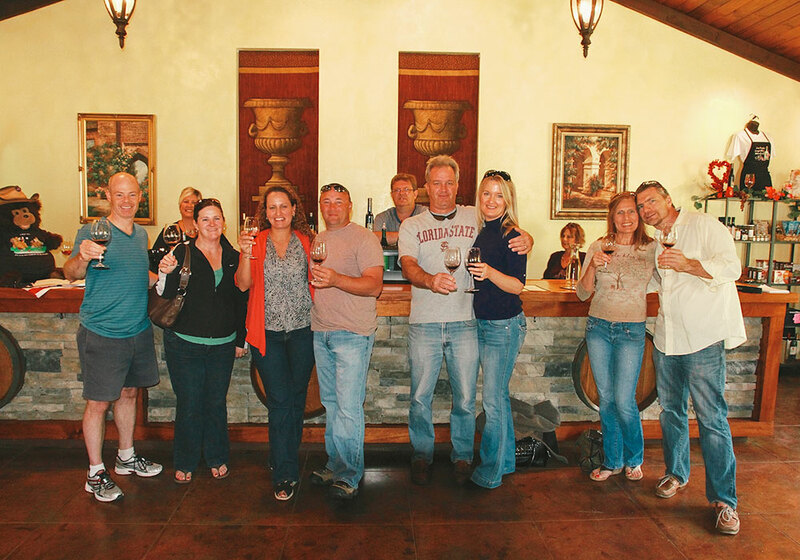 Our wine country tours include tastings at 3-4 local wineries or vineyards as well as an artisan picnic lunch. You can sit back and relax as our exclusive chauffeur takes you to Southeast’s best wineries. As the South’s Original All-Inclusive Wine Tour, VIP Southern Tours includes everything to make your day fun, carefree and educational. Our wine country tours include tastings at 3-4 local wineries or vineyards as well as an artisan picnic lunch. You can sit back and relax as our exclusive chauffeur takes you to Southeast’s best wineries. Let VIP Southern Tours customize your private corporate event. We can do anything from Office parties, team building events, Christmas Parties and anything your company may need to entertain clients, guests and staff. 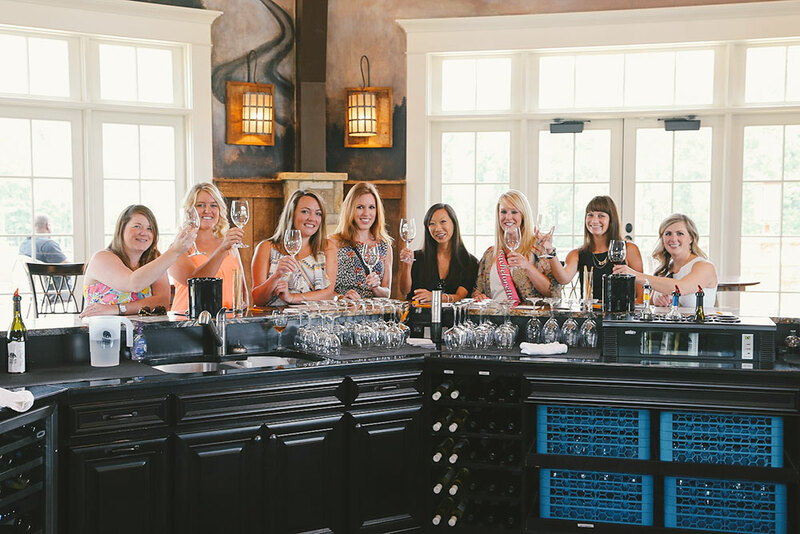 VIP Southern Tour’s “Ultimate Bachelorette Party” will provide transportation as you explore 3-4 North Georgia Wineries. 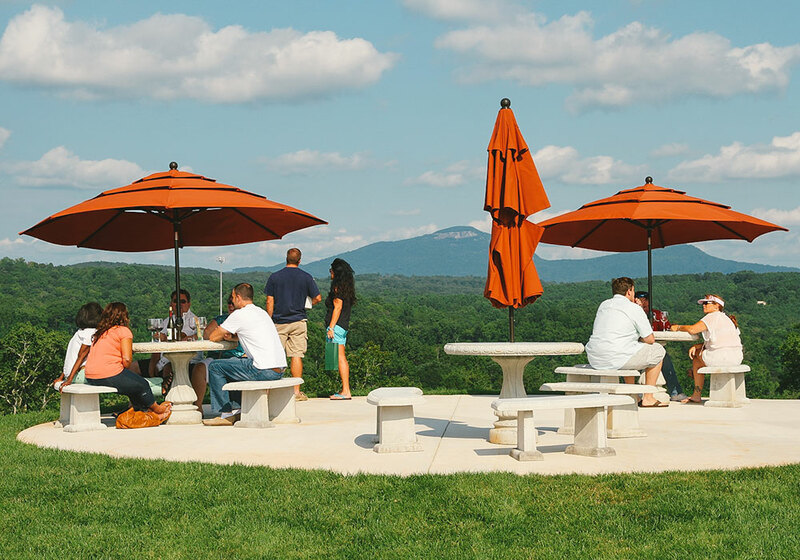 You will enjoy breathtaking views from the family-owned wineries situated in the heart of North Georgia’s beautiful rolling hills while enjoying a Gourmet picnic lunch. These wineries have perfected a wide variety of handcrafted white, red and blush wines for you to taste. VIP Southern Tours will then take you back to the location of your choice where you can relax and get ready for a night on the town. Our tours are from 11 am until 5 pm! Private wine tour with your very own wine expert. More information coming soon. VIP Southern Tours brings you the very best of North Georgia. Most tours include three or four impressive vineyards and wineries as well as all of the tasting fees. All of our tours are unique with plenty of information, relaxing views and fun! Our classic wine tours are all inclusive with tasting fees and lunch included. 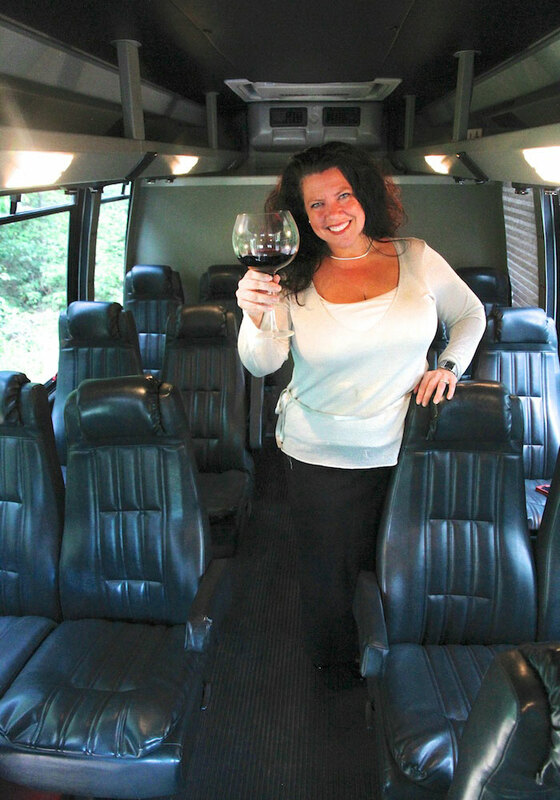 Travel in comfort and style in one of our deluxe fully air conditioned deluxe mini coaches which feature large windows offering fantastic views of the local vineyards, wineries and North Georgia mountains! 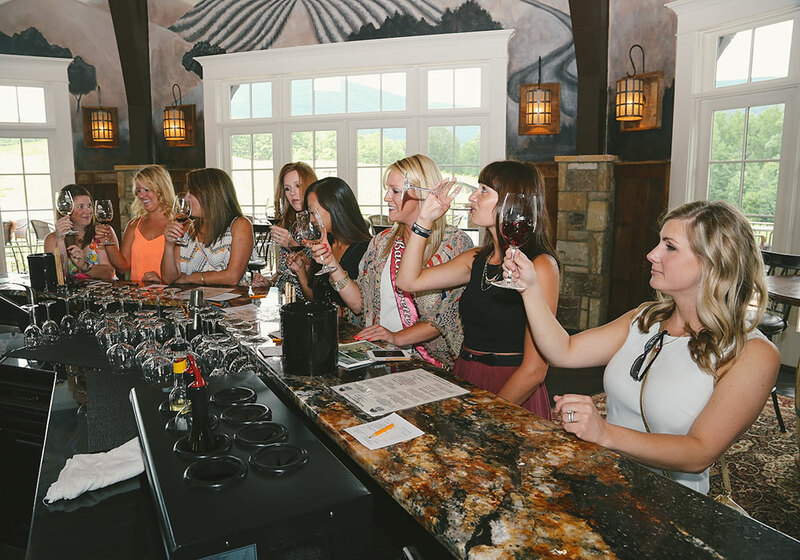 All of our tours feature the award-winning wineries and vineyards along the Unicoi Wine Trail. Six of us went on the tour and it was wonderful. Michael was fun and flexible and the wineries we visited were very accommodating. I would do this again! It was awesome to have the option to be picked up right at the cabin where we were staying! Aunt Connie was so awesome and sweet! As soon as she stepped out of the bus, we knew we were going to have a great day! This was a fun way to have an afternoon team building experience after having meetings in the hotel board room for several days. The VIP Tour bus picked us up after lunch from a local restaurant at 1:00pm near our hotel. They drove us to three local wineries for us to visit. The tour bus driver was pleasant, knowledgeable and helpful during the afternoon. A truly great time was had by all on our team . . . relaxing and fun. Connie is an excellent winery guide and driver. We had the best time participating in the wine tasting tour. We visited 4 wineries and had a great lunch, which was included, sitting outside looking at the mountains and vineyards. I can not say enough about how nice the tour is and our “Aunt” Connie made the trip great! We had a group of 6 ladies, 1 mom, 2 friends and 3 sisters!! With VIP, we didn’t have to worry about anything! Crazy Aunt Connie was our tour guide/driver who made the day worry-free and a blast! The only thinking we had to do was which wine to purchase! Crazy Aunt Connie shared interesting stories and treats her guests like family!! We loved the tour! I would highly recommend this tour if you just want to relax, laugh, and taste lots of wine! When people travel they grow. They become happier, build self confidence, make new memories and experience new things. I have this incredible passion bringing people together with a new destination and experience and I truly love creating memories. I have traveled as long as I can remember. I’ve visited 60 countries and have taken hundreds of travelers to Europe over the years. I graduated Georgia State in 1998 and knew I would continue to stay in the travel industry. In 1996 I opened up a full service travel agency near Helen, GA and to this very day I truly enjoy matching up the traveler with the right trip. In 2013 I met with local businesses and officials to come up with ways to bring the wine industry and the tourism industry together. I decided to take a leap of faith and created a wine tour experience. The ingredients were perfect for me, I was in my hometown, it brought together travelers and locals, it was fun, and it included wine! I created an all-inclusive wine tour, bringing out all the best options from previous travel experiences. Travelers enjoyed beautiful scenery, had fun tour guides, enjoyed unique wineries and made wonderful memories. The tours grew from one bus to multiple buses in just a few short years. I received an award of Entrepreneur of the Year 2014 by the White County Chamber of Commerce. I continue to work hard with my team to strive for a level of excellency and commitment to our travelers and local community. After a short time, I also realized that there were so many types of travelers and the standard full day wine tour was simply not one size fits all. We added unique and private tours to the lineup. I also learned that the wine tours really do bring people together, and in one year we doubled our private tour business. Families, friends, co-workers and special event tours. 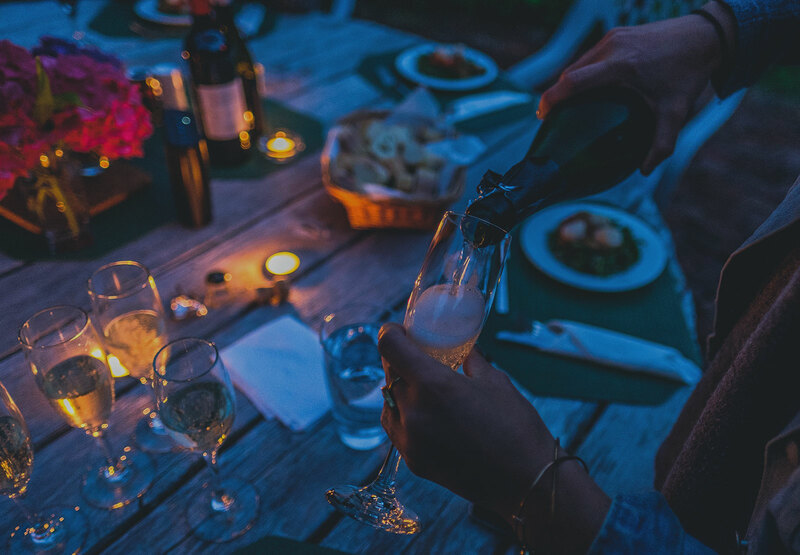 We now have found a way to fill every need on private tours, whether its a tour with a wine expert, chocolate tasting or even zip-lining (we recommend doing this FIRST before drinking wine). I still am a full time travel consultant, and have clients from all over the world. I also look for new ways to grow the wine tours. I love traveling and am always looking for the next greatest adventure. My favorite trip? An Arctic Expedition around Svalbard, Norway. My favorite wine? Let’s just say, I’ve only met a few I haven’t liked! Do not see your date available? Call us! We can probably make it happen!